When WILHELM RUHLAND developed his plan for an Encyclopedia of Plant Physiol- ogy more than three decades ago, biology could still be conveniently subdivided into classical areas. 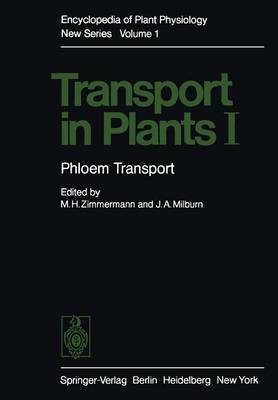 Even within plant physiology, subdivisions were not too difficult to make, and general principles could be covered sufficiently in the two introductory volumes of the Encyclopedia on the physical and chemical basis of cell biology. But the situation changed rapidly even during the 12-year publication period of the Encyclopedia (1955-1967). The new molecular direction of genetics and structural research on biopolymers had an integrating effect on all other biological fields, including plant physiology, and it became increasingly difficult to keep previously distinct areas separated. RUHLAND'S overall plan included 18 volumes and about 22,000 pages. It covered the entire field of plant physiology, in most cases from the very beginning. But, as each volume appeared, it was clear that its content would soon be outdated.